Considering that user experience is all that matters in succeeding in online marketing, you have just one chance to make a lasting impression on viewers with your website. Remember that your first chance is always the last one. How much impact the website creates on viewers for the first time is thus immensely important. Viewers judge websites prima facie by its speed, how fast the pages open in front of them. You get just 2 seconds to cross the barrier because that is the maximum time that viewers are ready to wait for pages to open. If the site does not display the page by that time, viewers do not hesitate to abandon it. Fast loading websites are instant hits with viewers who consider it worth paying attention to. Now, the question is what are some techniques for making wordpress website faster? Users relate the site speed to its reliability and even do not mind labeling it professional. Speed has a psychological impact on viewers that defies all logic because it is akin to smartness that they equate with efficiency and trust. The speed of websites helps in gaining viewer confidence. E commerce websites are worst affected by slow loading pages because users feel like once bitten twice shy and would never come back to the website again for buying. For every second delay, the customer satisfaction level goes down by 16 percent. On the other side, search engines too like speedy websites. Google factors site speed into its search algorithm, and it can affect search rankings. 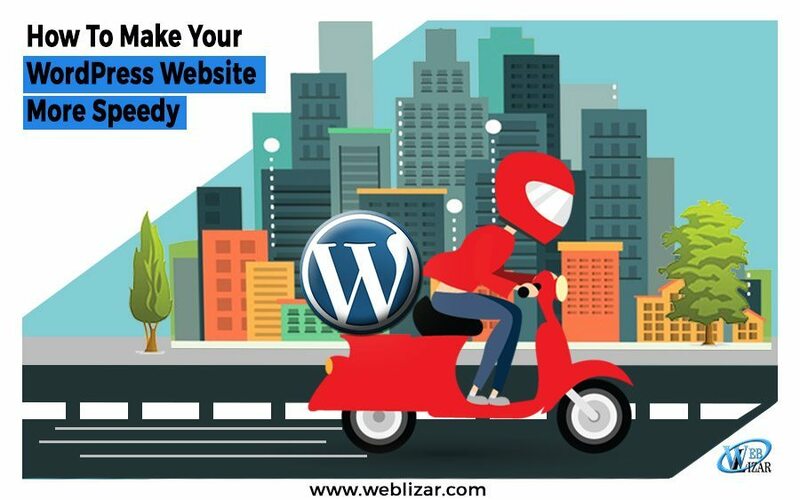 With so much at stake, you must speed up a WordPress site, assuming your website is on WordPress. Read on to know how you can do it. Images occupy large spaces, and when you use too many images, it apparently reduces website speed. Images constitute 56 percent of page weight of any website. At the same time, images can be crucial for creating content that is more expressive. Images increase the attraction of content and create better engagement with the audience. Since you are compelled to maintain the website speed at its best, you must limit the number of images so that it occupies less space and does not interfere with site speed. Another way of ensuring that images use lesser space is to optimize the images by compressing it. Many WordPress plugins are available that can perform the task. Some plugins remove unused colors from images, while some other strips Meta data from images without affecting the image resolution. It is possible to achieve 70 percent compression by using suitable plugins. The default setting of WordPress allows display of the full content of posts on the homepage and archives. Since displaying full content takes time, you can arrange to display excerpts of content instead. Viewers who are interested in continuing with the content have the option of viewing it in full. The concept is like showing teasers that tell viewers about the content and can arouse their interest. To convert content into teasers, make use of the ‘Read More’ tag in the WordPress editor. You can manually select the cut-off point of the content, place the cursor there and click on the button. The portion that you have selected for showing will only be visible while viewers can click on the ‘Read More’ tag to reveal the complete content. You have to repeat the same process on all pages of the website. To speed up the process you can choose the automated option by going to the Settings > Reading that shows several options of cut-off for the articles that you can choose according to your convenience. While ‘Full Text’ is the default option, ‘Summary’ allows trimming content by restricting it to 55 words. Optimize the WordPress database table so that the available free space is increased. In some databases, too many unnecessary calls land up at the database that creates overloading of space. When this happens, it eats up much memory, and eventually, it affects the site speed. The remedy is either to reduce the number of queries to the database and or optimize the database tables manually by a plugin or using pHpMyAdmin. WP Optimize is a plugin that cleans up the database and optimizes it. For making codes legible for humans, developers use much formatting such as line breaks, spaces, comments, etc. that goes into the making of the code structure and increases file sizes. However, the browser can do without such formatting. By using the process of minification, which means removing anything that the machine does not need, you can reduce the file sizes so that the website speed is increased. WP Minify is the plugin of choice for minification. These measures of optimization for enhancing site speed are easy to implement, and the results show up in the form of more satisfied and happy visitors. About the author: Derek Iwasiuk is an online marketing expert who heads the SEO firm that he has founded. At one time, he was one of the top expert shooters of the country and had spent six years as an air cadet. To know more about his achievements and capabilities log on to http://www.derekiwasiuk.com/.